If you are into hunting, you are aware of the extreme weather conditions and varying terrains you experience. As such, the equipment you get should and must be durable and long lasting as well. The unit you choose should withstand foggy conditions and heavy rainfall with grace. If the binocular you choose cannot withstand the said conditions, then hunting becomes an impossible and irritating practice. Lucky for you, the Bushnell brand has the answer to all your problems. The Bushnell H20 waterproof and fog proof roof prism binocular is here to the rescue. Aside from the fact that it is hunting friendly and has the great optical technology to offer, is there anything to this unit? Is it all hype or does it hold its own when put to the test? 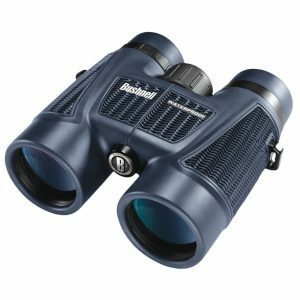 Bushnell always designs and builds binoculars with amazing and functional features. Most often than not, they adorn their products with features matching the demands of their many different users. With that said, let us have a look at what the Bushnell H2O Waterproofing/fog proof roof prism binocular has to offer. First and foremost, it is worth noting that the unit is well engineered and looks and feels hardy and strong. The unit also looks great. It is covered with a soft armored rubber coating. This coating provides it with protection (shock resistant) increases the user grip even when in the rain and improves the comfort of handling the binocular. The unit is also designed to be nitrogen purged, fog and water resistant and is O-ring sealed. Its center focus knob is significantly large. This makes the unit easy to operate and make adjustments as well. Additionally, the Bushnell H2O comes with twist-up eye cups which help in the correct eye positioning. This reduces the stress involved in finding the perfect position for the eyes. Generally, the unit is strong sturdy and has high performance making it perfect for hunting. The internal factors of the binocular including image quality, lens and optics are through the roof. 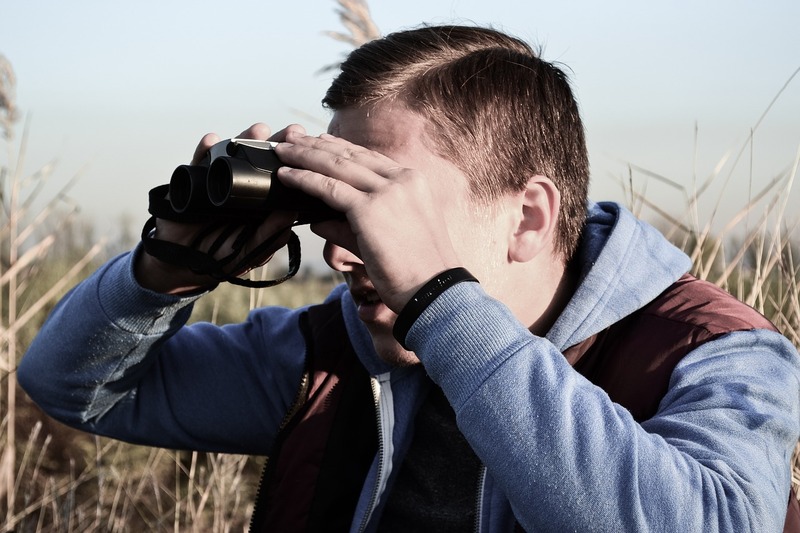 The technology used on these features enable it to provide you with high performance, the kind that is fitting for a hunting binocular. The multicoated glasses are efficient in light transmitting. Speaking of which, the unit works great in low lighting conditions as well. The Bak-4 prisms the unit features produce excellent viewing complete with bright and vibrant colors, superior sharpness and an almost unrivaled clarity. 12 feet is the units nearest focus point, it comes with an eye relief of 17mm FOV of 305 feet at 1000 yards. The 10x magnification coupled with the 42mm objective lens complement the high image quality perfectly. Clearly, the Bushnell H2O sports high tech features that make it one of the best and hunter friendly units available on the market. its durability and affordable price have contributed to its ever-increasing popularity.